Memorial day weekend is here and of course, that means shorter short, sun, beaches and (my favorite) picnics. Salpicon de Res has been a long time favorite of mine. Next to a great tinga tostada, a tostada de salpicon has got to be it. Because the dish is served cold its absolutely perfect to take on a picnic, and makes for a great on-the-go snack when heading to the beach this summer. I also love that the longer you keep it in the fridge marinating, the deeper the flavor gets. Its also great for any large gathering. 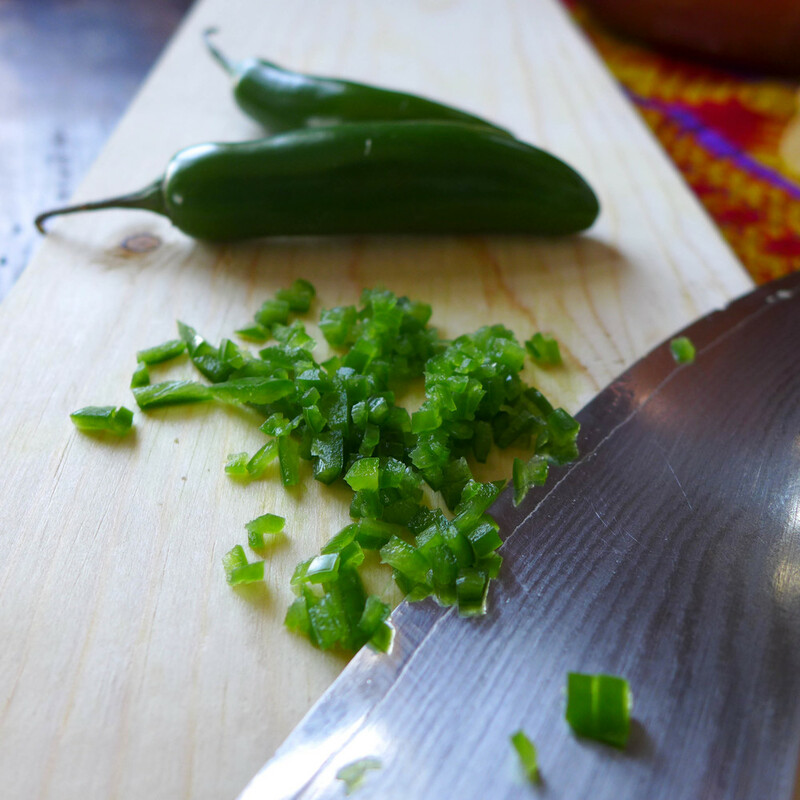 You can put out for your guests, pair it with a great green salsa, avocado, throw in a bag of chips and listo! Put the flank steak, the thickly sliced onion, garlic, salt and bay leaves in a large pot and add water to cover. Bring to a simmer and skim off any foam that forms on the surface. Let simmer until the meat shreds easily, 20 to 30 minutes. When the beef is tender, turn off the heat. 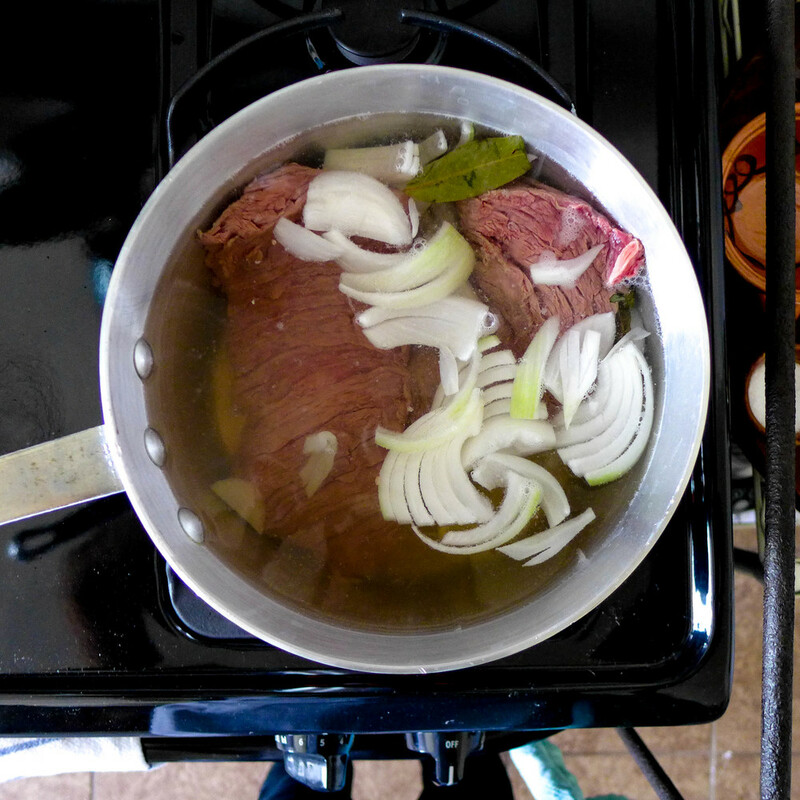 Remove the beef from the broth and let it cool, refrigerate the remaining broth for another use. Trim off any excess fat from the beef, then finely shred the beef with your hands. Put it into a bowl with the thinly sliced onion. Stir in the lime juice, chopped serranos, and vinegar; season with salt and pepper, then toss together with lettuce and cilantro. Let rest for 30 minutes to allow the meat to marinade. Put the beef mixture on the tostadas and garnish with radish and the avocado slices, shredded lettuce and finely chopped onion. Serve at room temperature. Serves 6. Posted on May 25, 2014 by Bricia Lopez and filed under recipes and tagged Salpicon De Res Appetizers. Copyright © 2015 Mole and More LLC. All rights reserved.